Shou Sugi Ban is a traditional method of charring cladding that preserves and emphasises the beautiful grain of the timber. 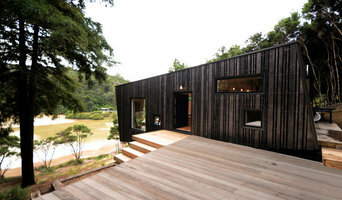 Black Clad supplies this timber to order for NZ building projects. Providing materials for energy efficient homes, in particular a cork plaster with a conductivity value Lambda= 0,048 W/mK to achieve the best thermal insulation and exceptional property of dehumidification because absorb humidity avoiding any dampness formation. 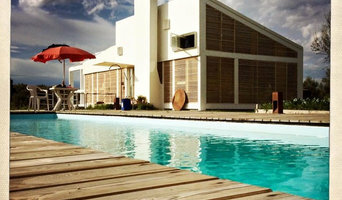 Material Made in Italy with 25 years of experience in new construction and renovation. At Architectural Facades Co, We have over 25 years experience in the industry. Servicing the lower North Island from Hawke's Bay to Wellington. Specialising in all types of low maintenance, composite facade claddings. From ACM to High pressure laminates and project specific facade treatments such as custom made mesh sun shades and louvers, to Corten steel features and privacy screens. We have services and products avaliable for Commercial, Residential and Industrial applications. Both for new builds, and the rejuvenation of existing facades. We provide quality in every step of the process sourcing only industry leading products from reputable manufactures whilst maintaining the strictest adherence to New Zealands rigourous building codes and regulations. We are highly experienced and dedicated to providing outstanding results each and every time. 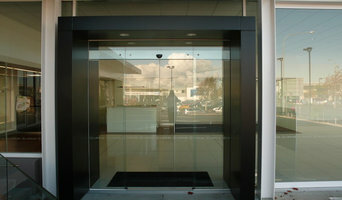 If you need aluminium doors and windows, commercial aluminium shop front installations or modifications, we can help. Contact us today to discuss a comprehensive facade package perfectly tailored to your needs. Architectural Facades Co. can provide you with the right solutions. Symonite Panels Ltd is a highly experienced specialist supplier, fabricator and installer of Facade Systems for the construction industry. In fact Symonite Panels has been designing and installing ACP Cladding systems since 1998. Using the design and engineering capability developed over 30 years Symonite now also install a number of other Façade Systems including Innowood, Reynodual Dual Laminated Aluminium and Frontek. Our objective is to support your creativity and design freedom, from the initial concept through to trouble-free installation. Aluminum Composite Panels (ACP or ACM) is a light weight but extremely durable and versatile product used to create striking building facades and numerous other projects with a number of weatherproofing and maintenance advantages. Drawing on over 15 years experience in the commercial and residential cladding market ACMF uses the latest technology to offer a specialist design and fabricating service. Paneltec Industries specialises in the manufacturing and distribution of higher quality, decorative facade panels for interior and exterior construction applications. With our production proudly based in Kauri Country Dargaville, we have an established a track record of over 20 years technical expertise in laminated panels - and the opportunities it creates for our clients' projects. We have grown to become a leading authority in the manufacture and technical know-how of decorative panels, with an uncompromising ethos forbetter service, the most reliable supply chain and unmatched quality of product. 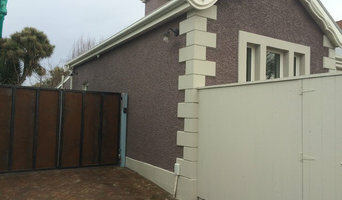 Triclad cladding systems offer a range of modern and unique cladding systems - both weatherboards and board and batten made from Bandsawn face plywood. Solar Edge designs, builds and installs architectural solar shading, solar control and privacy solutions for commercial and residential buildings. Creating striking architectural facades that are highly functional in providing privacy, light and solar control is now easily achievable with our range of Aluminium and Innowood Sol’Art louvre systems. Our Innowood Sol’Art louvre and shading systems can also include timber look solutions with fire resistant properties to meet the requirements of the New Zealand Building Code. We provide solution driven, high quality systems utilising fixed, manual and motorised operating systems. Some exterior contractors can provide you with planning tools that allow you to see before and after images of your house. Engage with a professional to see what their services offer. They may also need to work with other contractors to adjust framing or roofing to suit your desired exterior. Here are some related professionals and vendors to complement the work of cladding & exteriors: Building Project Managers, Architects, Roofing & Gutters, Home Builders, Design & Construction Firms. Find a home exterior contractor on Houzz. Scroll through this page to find professionals in your area. You can narrow your search by selecting your nearest city or postcode. Browse professionals' latest projects or product photos, read reviews and message them directly.